If you’re visiting family or colleagues at Middlemore Hospital, there aren’t a lot of food options for anyone, let alone vegans. A few scattered vending machines have bags of Mother Earth Cranberry Deluxe Mixture and Whittaker’s Dark Chocolate Sante bars, but maybe you want more than a snack? 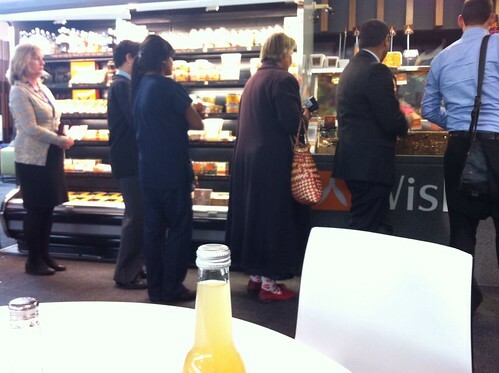 Here is my recommendation: find the Wishbone outlet in Ko Awatea. I found two vegan things on their wall of food: a pumpkin coconut cream soup, and a bean salad. 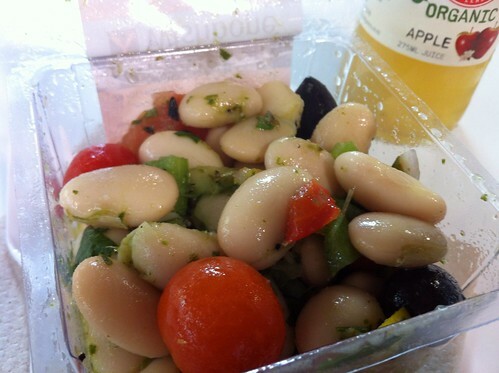 I had the second for lunch today: butter bean salad with fresh herbs & kalamata olives. It was pretty good: a bit nicer than a standard bean salad, with extra-large butter beans, fresh cherry tomatoes and a few black olives. Wishbone also made me a good soy flat white.